As medicine evolves, so do the types of doctors most needed. Demand for some of these physicians is already high. Right when her colleagues at Boston Children’s Hospital are leaving at the end of the day, pediatrician Sarah Henry, MD, is just arriving at work. As a nocturnist, Henry has made a career of working the night shift, clocking 10 overnights a month, sleeping mostly during the day, and avoiding typical workday stresses like long commutes. Nocturnists are one of several medical career paths to emerge in recent years, partly in response to medical advances but also to new ways in which health care is delivered. Here are five new specialties, what they entail, and the training needed to pursue them. Harnessing the immune system to fight malignancies is a burgeoning area of medicine that’s creating huge opportunities for new doctors. “It's a time of incredible progress that has translated into help for patients,” says Lisa Butterfield, PhD, president of the Society for the Immunotherapy of Cancer. But the promise of these medications is tempered by new clinical challenges. New treatments like CAR-T cell therapy can cause alarming and even fatal immune overreactions, and drugs known as checkpoint inhibitors have led to the emergence of new forms of autoimmune diseases like inflammatory arthritis and even type 1 diabetes, among other adverse effects. A career pathway has not yet evolved, but Castells envisions a specialty encompassing immunology/allergy and rheumatology and perhaps dermatology and gastroenterology. (Skin conditions and inflammatory bowel diseases are not uncommon for patients with autoimmune conditions.) For now, she says, a specialty in clinical immunology/allergy or rheumatology offers the best bet for interested students. As the proportion of medically complex patients in hospitals rises, the outlook for nocturnists — doctors who practice hospital medicine primarily at night — is bright. “It adds a level of safety and service to the hospital,” says Atashi Mandal, MD, a nocturnist in California’s Orange County. Nocturnists mostly do what hospitalists do —admit and provide coverage for patients — but they work entirely at night, which means they are often on their own, without the benefit of other specialists. Because of that, though, they often enjoy greater autonomy than their daytime counterparts. Training is the same as for daytime hospitalists, which typically is board certification in internal medicine, family medicine, or pediatrics. Doctors may also seek Maintenance of Certification in Focused Practice in Hospital Medicine, or advanced training in subspecialties like cardiology or pulmonary medicine, but neither is necessary, says Philip A. Masters, MD, vice president of membership and international programs at the American College of Physicians. Some 80% of health care costs are related to chronic diseases, and 80% of chronic disease is related to lifestyle choices. That makes a powerful argument for lifestyle medicine specialists, says Wayne Dysinger, MD, president of the American College of Lifestyle Medicine and founding chair of the American Board of Lifestyle Medicine. Primary care and family medicine are natural homes for lifestyle medicine expertise, but the specialization can also be useful in a growing number of lifestyle medicine clinics that operate on a referral model or residential facilities where a patient might spend ten days to two weeks to jumpstart changes when the need is urgent. The American Board of Lifestyle Medicine began offering certification in lifestyle medicine in October 2017, and so far 300 doctors have received it. Demand to sit for the exam is exploding, Dysinger says. U.S. candidates must already be board-certified by a medical specialty board recognized by the American Board of Medical Specialists or the American Osteopathic Association. Also known as biomedical or health informatics, the field of clinical informatics involves collecting and analyzing patients’ health information and applying those insights to improve health, says Douglas B. Fridsma, MD, PhD, president and CEO of the American Medical Informatics Association. The field is taking off due to provisions of the Affordable Care Act, which mandates the use of electronic health records (EHR). But hospitals also are recruiting physicians who can fulfill the promise of these information troves, from making better clinical decisions to guiding research efforts. Top jobs are chief medical information officer and chief health information officer, with varying proportions of time spent in the clinic and with informatics duties, says Howard D. Silverman, MD, MS, professor of the Clinical Informatics Fellowship at University of Arizona College of Medicine at Phoenix. Physicians versed in informatics can also find work with EHR vendors and Silicon Valley startups or in research. 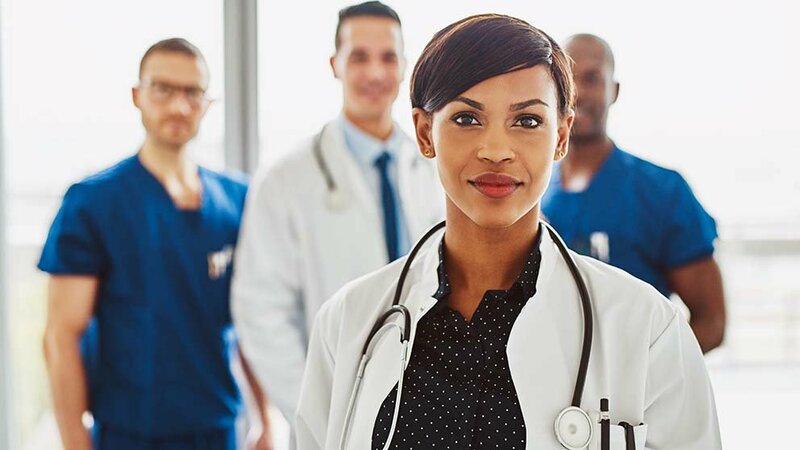 Doctors need to become board certified in clinical informatics through an exam offered by the American Board of Preventive Medicine and the American Board of Pathology. Physicians in all 24 subspecialties are eligible, but candidates must have completed an Accreditation Council for Graduate Medical Education-accredited Clinical Informatics Fellowship Program to sit for the exam. The telehealth market is expected to rise 30% each year between 2017 and 2022 as telemedicine gains traction as a way to deliver second-opinion consults and offer telepsychiatry and telestroke services. More health systems also are adding telemedicine to their raft of services, using their own physicians or those employed by telehealth companies to provide primary care triage, specialty consults, and virtual rounding. While these medical virtualists don’t yet require certification, many see a need for the specialty. “As more health care institutions start to incorporate virtual care into their strategic planning, we need to make sure we are prepared to train future providers,” says Rahul Sharma, MD, emergency physician-in-chief for NewYork-Presbyterian/Weill Cornell Medical Center. Physicians will need to demonstrate competency in conducting the virtual interaction — including body language, eye contact, and the environment from which the visit is conducted — and gain expertise in the legal ramifications and regulatory issues of virtual medicine.